After a long year of creating and sharing new Little Big Planet user created masterpieces, Playstation blog and LittleBigPlanet.com have teamed up to bring us the community "Sackie" awards. The Sackie Award winners have been acknowledged for things like "best use of audio in a level," "Best innovative creation," "Best use of story in a level," and other such amazing creations. Marvel at their creative prowess, gasp in awe at the talent held within. Then, come back to vote on the final, much anticipated Level of the Year award. It's up to you to check out the Level of the Year nominees and cast your vote. It's tougher than it sounds, as the candidates are the best of the best. Choose wisely, then go play some of these award winning levels with a buddy. LittleBigPlanet Beta Levels Won't Be Wiped! Sackboys, Rejoice! 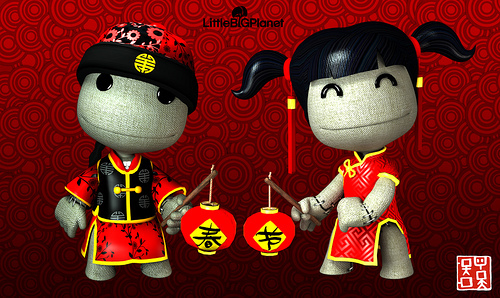 IP Owners Tell LittleBigPlanet Devs "Please Whitelist Us"
Page created in 0.3838 seconds.